Talented mare Tumbler ($3) scored her first win since July 2017 but is unlikely to head to Sydney. Tumbler has been a nightmare for trainer Barry Lockwood as she has had injury and bad luck dogged her career. But apprentice Corey Bayliss got Tumbler into the clear and charged home to beat Deconstructed ($18) by a 1/2 neck in the Wedding At BRC Open Handicap (1400m). “She really is a tester. 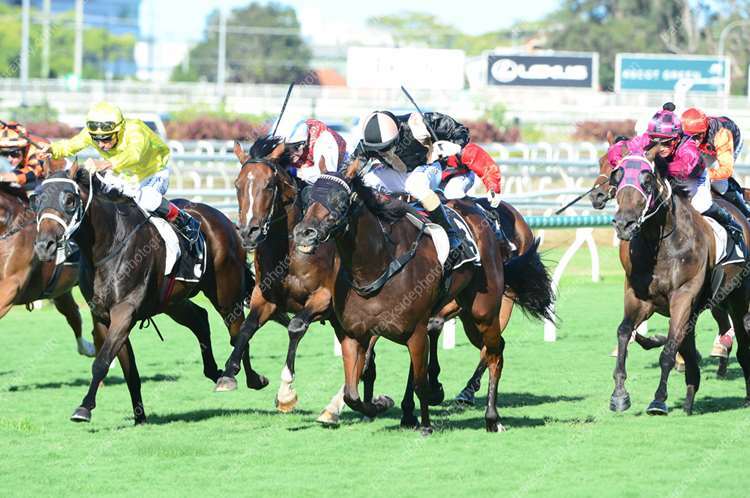 There is a race in Sydney for her in two weeks but she might be better chasing a stakes race here,” Lockwood said.